Best Philadelphia Wedding Band For The Celebration Of Your Dreams! 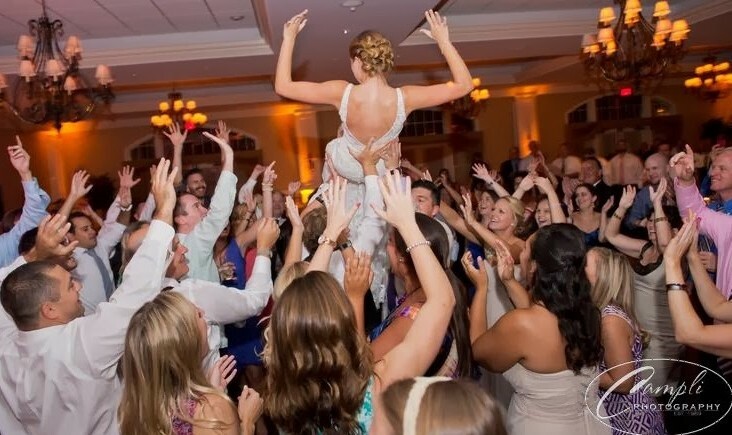 Do you want everyone dancing at your wedding? Do you want talented vocalists? Do you want superb musicians? Do you want a fantastic MC? If you answered YES to these questions, then you better call Janis to book them quick! Every single one of my guests gushed about how amazing this band is. Every time I looked around, not a single person was sitting. Even my mom danced, and she NEVER dances! Leading up to the wedding, Janis will work with you to create your perfect playlist and is more than happy to take special requests (just make sure you do so a couple months beforehand). No one wanted the last song to be over, and when it did, everyone stayed on the floor to give them a huge round of applause. Best band ever!! The Janis Nowlan Band was so much fun! Planning a wedding out of town, we had to go by wedding reviews and YouTube videos to choose our band. My mom and aunt were able to go to a showcase and give us a report. My aunt called me excitedly after the showcase and said we HAD to book them! We never heard the band live until our wedding day, which I realize is somewhat untraditional, but it was a super lucky gamble. Janis played piano during our ceremony. She even learned John Williams’ “Jurassic Park Theme” for us to exit our ceremony to! Then there was jazz music during our cocktail ceremony. The big band played for the whole reception. I loved talking directly to Janis on the phone to organize the night. We chose all of the ceremony music together, then the entrances. The band learned a new song for our first dance too. My husband was able to choose a few songs to play with the band, which was a huge highlight of our night (video is on their Facebook). He did not practice with them ever, but they pulled it off seamlessly! One of the things that impressed me most is that Janis said they didn’t really play with a set list, they adjusted based on the crowd. Our families were up dancing all night. The Janis Nowlan Band is a group of super talented musicians, with fun personalities, who seem like they really love what they do. They were a wonderful addition to our wedding and I would highly recommend to anyone wanting live music. Janis Nowlan made our wedding unforgettable. From the second they opened up the dance floor, our guests were having the time of their lives. Family and friends of all ages – from 5 to 80 – tore up the dance floor and had a blast! Janis also lends an extremely personal touch. She and I talked on the phone numerous times leading up to the wedding so that Janis could make sure all our details and requests were in perfect order. Janis and her band live up to the hype. I would choose her again in a second! You won’t be disappointed! Janis Nowlan and her band are truly the best! They definitely made my wedding day a day to remember! They kept everyone dancing and no one wanted to leave! I am so glad my mom recommended them to us and are well worth it as they work hard to make sure their guests are happy! Janis is a gem to work with! The Janis Nowlan Band made my wedding a day I will never forget they kept my guests moving all day my family and friends all came up to me and said how awesome the band was. They truly are the best band i have ever heard my now wife and i were very happy with how they performed and very accommodating to anything that we wanted to do. Once again they are truly the best band i have ever heard and i hope everyone can use them for any kind of event that they need. Best wedding band out there. Janis was awesome. She was very helpful throughout the whole process. The band is fantastic and everyone danced all night. The number one comment we received from our wedding was about how good the band was. since we live in New York and got married in philly it was hard for us to actually go see bands, so we ended up booking Janis based on YouTube videos! it was scary but we 100% made the right decision. Book the Janis Nowlan Band. They are the best. Janis Nowlan and her band were absolutely amazing! My husband and I could not have been happier to have had them as part of our wedding in August 2016. The dance floor was filled all night long thanks to their fun, high-energy performance—guests are still telling me how much they loved the music! Janis took the time to make a personalized plan with us before the event, and even learned two new songs we requested. From the ceremony to the cocktail hour and all through the reception, they helped make our big day complete. I highly recommend Janis and her band! The Janis Nowlan Band played for my wedding on 11/26/2016; and it was awesome! Janis had everyone dancing all night. The guests were all totally thrilled, as were we. Janis was easy to work with, very professional and organized. Highly recommend the Janis Nowlan Band! Janis and her band absolutely MADE my wedding. Our guests did not leave the dance floor the entire night. If you want to have a wedding where guests are devastated when the music stops then book the Janis Nowlan Band now. Thank you for everything! NO COMPARISON First saw the Janis Nowlan Band perform years ago, they were absolutely phenomenal and they have only gotten better since! Our daughter’s wedding was a blast, everyone was still on the dance floor at the end of the night and no one wanted the music to end! They are in the business of making dreams come true and they are better at it than anyone! Incredibly talented musicians who are an absolute pleasure to deal with, love, love, love them! We can never thank them enough! JANIS NOWLAND BAND is AMAZING. Our guests cannot stop raving about how great the music was and how fun the party was. They are a pleasure to work with and absolutely bring the house down. My feet still hurt from dancing so much. Thank you for everything! Jacqueline said… There are not enough words to express how much I LOVE this band nor is there enough stars to rate them! I always told myself that when I got married I would have a DJ instead of a live band. Well, that all changed when I got the chance to see the Janis Nowlan Band play at a friends wedding. I was in love and instantly hooked! I knew that this was the band I wanted for my wedding. As soon as my husband and I were engaged, I contacted Janis. I then took my husband and my parents to one of the band’s showcases and they were blown away! Janis is an incredible person! During the entire planning process she checked in and asked about our family and it felt like we had known her our whole lives! When the big day started to get closer, Janis made sure she took care of everything. We were able to pick our wedding song and parent dance songs as well as all the songs they played at our wedding. This band has no limits! They can play anything from country to soul to pop to rock, even the popular novelty dances! We went over introductions, ceremony music, cocktail music, EVERYTHING. Janis made sure that I had one less thing to stress about. When it came time to dance, the amazing band was incredible and they didn’t miss a beat! They had everyone from my 1&1/2 year old daughter to my 92 year old grandmother on the dance floor! We had the perfect wedding and I have to give a big thank you to the Janis Nowlan Band for being a big part of that perfect day! Janis and the band were amazing! I am an older bride and wanted a band that would make for a great party. I picked the right band! Janis was helpful prior to the wedding helping me with my timeline, (I didn’t want to do typical wedding stuff throughout the night), was great when I asked her to shorten our first dance song and created a spot on dance list suited for our guests. Everyone had a great time. I have to apologize to my guests if I didn’t get around to see them at their tables, but once dinner was over no one was sitting for the rest of the night! The band was outstanding and I highly recommend the Janis Nowlan Band to use at your next event! AMAZING. Everyone danced the entire night. They really are the best. Janis is so great to work with! Have to been to multiple weddings where they have played and they are always amazing. Hands down the BEST wedding band in the area! We were fortunate enough to see Janis Nowlan and the band live at a friend’s wedding and when my husband and I got engaged, there was no question about who we were going to call first. Janis works with you directly and is the epitome of professional. She also is genuinely excited about making your wedding day special and getting your guests on the dance floor. We worked together to plan the day-of-schedule, so it was tailored to our needs and wants (like getting people dancing right away, when to do the special dances, speeches, cake cutting, etc). She and the band also learned some special song requests we had and did a dance-off, which our guests loved. So many guests commented on how great the band was and that it was the BEST that they have ever heard. I may be bias but I agree!!! Thank you Janis, Rick, & band!! One of the best decisions of our September 24, 2016 wedding was having The Janis Nolan Band. We are now about a month out and have had time to reflect on our perfect day and hear guests feedback, and every single person I talk to has said what an incredible band we had. We are going through a time where we are back-to-back weekends with weddings, so we notice details about other weddings. They played the entire time, including when people were eating, and also did not take a break. I have noticed that this is rare in the wedding band industry and so important to keep the party going!! Their music appeals to old and young alike, they are lively and entertaining, and they helped to ensure the most important day of our lives was seamless. If I could do it all over again, without a doubt I would book Janis and her team. When looking for a wedding band, one of my criteria was that I wanted people dancing so much that people were splitting their pants. Janis Nowlan band went one step further! I thought people were going to fall through the floor! They know the exact mixture of science and art to getting EVERYONE out on the dance floor and keeping them there, having a good time. They played for 4-5 hours straight. No band breaks! Granted it was my wedding but I have never had so much fun and I even got to sing a song with the band to my bride. It is almost a month later and the wedding is all friends and family are talking about. Kudos to Janis and her band. They are amazing! We had the pleasure of having the incredible Janis nowlan band perform at our wedding on 9/25/16. After an initial phone call with Janis, we attended their showcase. They were the only band we went to see, by far the best out of all the weddings either of us have been to… so right then and there we cancelled our plans to see other bands, they were that amazing! When it comes to planning, Janis is so organized and on top of your wedding schedule, and she is so warm and cheerful on the phone it was always a pleasure to hear from her throughout the wedding planning process. We had so much fun choosing the songs we wanted for our setlist and narrowing the songs down was so hard because they have an incredible range. They even agreed to learn my husbands favorite song which is an obscure Grateful Dead song called Peggy-O… the guitarist/singer knocked it out of the park ! We had them for our ceremony, cocktail hour and reception. They did an amazing job with our introductions and hora and kept everyone dancing all night, even my mother who I have never seen dance before. Our guests were literally looking at each other in amazement at how good the band was, and so many people commented that their songs sounded just like the originals. When they called the last song we couldn’t believe it was already over, and now we wish we could have another party so we can bring Janis and her band back! We had an outdoor wedding at the waterworks which is a public space, we found out later that when they heard the music, passerbys stopped to dance in the street for hours! 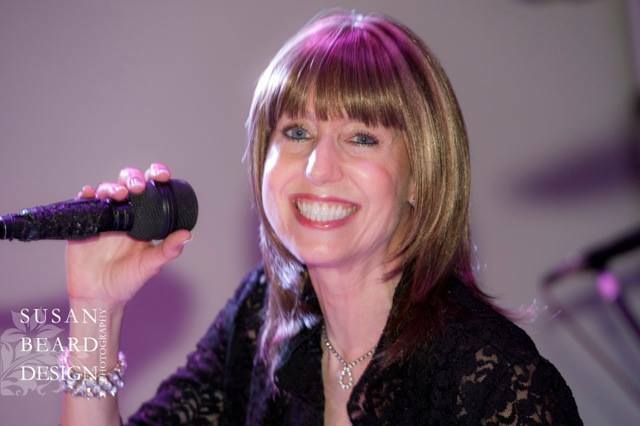 Do not hesitate to book the Janis Nowlan band, your guests will be so impressed when they walk in and see the 13 piece band on stage… then after the party they won’t stop raving after they’ve heard the BEST!!! When my husband and I started planning our wedding we agreed that there were three main things that make a wedding great: good food, free alcohol and great music. To say that the Janis Nowlan Band was great is a major understatement. These guys were phenomenal from day one. Janis is thorough and gets to know the bride and the groom and is sure to make everything is unique and special for the big day. She made sure of every detail. At the wedding, everything was just how we imagined it. They played for our ceremony, cocktail hour and reception. At the reception our guests (grandparent included) were on the dance floor from start to finish. Throughout the night I had guests asking about the band so they could recommend them to other couples. We are so pleased with their performance. I would recommend the Janis Nowlan Band to any Bride and Groom who are looking to dance the night away! I argued with my wife about a band vs a DJ – I’ve been to weddings where the band just wasn’t “on” and it just kills the mood of a party. I was even more skeptical when I was reading reviews of Janis – “Nobody can be THAT good”, I thought to myself. I was wrong. Janis and the rest of her band were amazing. You don’t need to worry with Janis, she does all that for you! But in truth, what she does is put on a show with a personal touch and class/grace that’s a step beyond what anyone would expect. We have been getting compliments all week from her show and I couldn’t be happier with our decision. Her piano playing for the ceremony brought me to tears. Her guitarist ripped off a rock solo that literally stopped the room in its tracks, listening to him shred until they transitioned into AC/DC’s “You Shook Me All Night Long”. Find me another band that can do that! This isn’t a “wedding band”. It’s not even a band that plays weddings. Janis and the crew are an experience. Book them and you will NOT be disappointed. Jacqueline said… There are not enough words to express how much I LOVE this band nor is there enough stars to rate them! I always told myself that when I got married I would have a DJ instead of a live band. Well, that all changed when I got the chance to see the Janis NowlanBand play at a friends wedding. I was in love and instantly hooked! I knew that this was the band I wanted for my wedding. As soon as my husband and I were engaged, I contacted Janis. I then took my husband and my parents to one of the band’s showcases and they were blown away! Janis is an incredible person! During the entire planning process she checked in and asked about our family and it felt like we had known her our whole lives! When the big day started to get closer, Janis made sure she took care of everything. We were able to pick our wedding song and parent dance songs as well as all the songs they played at our wedding. This band has no limits! They can play anything from country to soul to pop to rock, even the popular novelty dances! We went over introductions, ceremony music, cocktail music, EVERYTHING. Janis made sure that I had one less thing to stress about. When it came time to dance, the amazing band was incredible and they didn’t miss a beat! They had everyone from my 1&1/2 year old daughter to my 92 year old grandmother on the dance floor! We had the perfect wedding and I have to give a big thank you to the Janis Nowlan Band for being a big part of that perfect day! One of the best decisions of our September 24, 2016 wedding was having The Janis Nolan Band. We are now about a month out and have had time to reflect on our perfect day and hear guests feedback, and every single person I talk to has said what an incredible band we had. We aregoing through a time where we are back-to-back weekends with weddings, so we notice details about other weddings. They played the entire time, including when people were eating, and also did not take a break. I have noticed that this is rare in the wedding band industry and so important to keep the party going!! Their music appeals to old and young alike, they are lively and entertaining, and they helped to ensure the most important day of our lives was seamless. If I could do it all over again, without a doubt I would book Janis and her team. I absolutely loved working with Janis and her band! They are highly rated for a reason – they deliver talent and professionalism that equate to you and your guests having the absolute best time on the dance floor. Janis truly cares about each wedding – with several phone calls to hammer out every detail for the day of to make you (the bride) stress free! Despite our wedding weather being ridiculously hot – every single person was on that dance floor dancing (and sweating) up a storm and it made me so happy to see my guests having such a fantastic time. I hope to go to weddings in the future where Janis and her band are playing because I know it’ll be nothing but a great time. If you are looking for a wedding band – you should just stop here and book The Janis Nowlan band. You won’t regret it. My husband and I are so glad we chose to have Janis and her band celebrate with us on our very special day. They are a group of vibrant and talented people that had all of our guests in awe. The dance floor was full throughout the whole night. Our friends and family cannot stoptalking about how amazing the band was and how sore they were the next day! Bandleader Janis was such a delight to work with. She was so very professional and organized, and did not hesitate to give us feedback/recommendations that we as a couple greatly appreciated. Janis and her band truly are the best and no one can compare. Thank you for making our day extra special and memorable!! I am the mother of the bride and want to give the highest possible recommendation to Janis Nowlan and her band. They blew me away at their showcase and they were absolutely incredible at my daughters wedding in August 2016. Janis was wonderful to work with. She is very personable, professional, and organized. She runs the event beautifully. The music she provided for the prelude, ceremony, cocktail hour and reception were A+++++. She and the band learned two very important songs for our event and did an incredible job. Once the dancing started, the dance floor was packed all night. We didn’t want the party to end they were so great! Don’t hesitate to book this fantastic band! Janis Nowlan and her band are truly the best of the best!!! Janis Nowlan Band was the 1st band I went to see at a showcase during my wedding planning process and the only band I saw. After the first time meeting Janis and her band and hearing them perform, I knew this was the band I wanted to play at my wedding and I booked them the next morning after the showcase! Janis is WONDERFUL to work with and makes sure to take care of all requests as best as she can. I even asked if her band knew how to play the new Justin Timberlake song a few weeks before my wedding and she said they were going to do their best to learn it and she did make sure to play it and I was blown away with how good everyone sounded! I want to go back to my wedding just to relive the dancing and partying that Janis Nowlan Band provided. Our dance floor was packed from start to finish and everyone is still talking about how great the band was and how much fun they had! If you are looking for a band who is fun, energetic, interactive, professional, and upbeat then this is the band you need to get to make your wedding unforgettable! Thank you Janis and the Janis Nowlan Band- we had a BLAST!!!! WOW! What a fantastic time we had at our son and daughter-in-law’s wedding! It wouldn’t have been the same without the Janis Nowlan Band. From the cocktail hour to the last song of the night, our reception guests couldn’t say enough about how awesome, fantastic, wonderful, and“out-of -this-world” the band was! We were all under the spell of the magical, musical masterpiece performance of the Janis Nowlan Band. No one could resist the urge to dance. Even guests who “never dance”, couldn’t stay off the dance floor. And so… we all just danced the night away!! Kudos to all of you for your superb talent, perfect personalization, and ultimate professionalism! Your energy was contagious, your timing impeccable, and your entertainment was exhilarating!! Thank you from the bottom of our hearts for making this event the “wedding of the decade”!! I don’t know even where to begin: we LOVED everything about the Janis Nowlan Band for our wedding at the Constitution Center. Definitely go to one of their music showcases to check them out, and you’ll get chills! We wanted a very Philly-themed wedding, and they helped us dojust that with everything from Philadelphia Freedom to Fly Eagles Fly. They can play just about any song from any era! EVERYONE was dancing, and we are still receiving compliments on how great this band was at our wedding! The whole band is super nice and friendly and they have so much fun doing what they’re good at, and it shows! Janis was super professional and easy-going. I loved working with her to plan my wedding and hope that we can work together again in the future. Best band ever! We couldn’t have asked for a better band for our New Years Eve wedding! Janis was amazing during our ceremony and cocktail hour but blew us away during the reception! Everything was timed perfectly and played so well! Thank you Janis and band members forhelping to make our wedding day a blast! The Janis Nowlan Band kept people on the dance floor throughout the night with great sound and a wide variety of music to please everyone. We never wanted to take a break! The Janis Nowlan Orchestra performed at our daughter’s wedding on 12/04/2015. We booked them one year before the wedding because we knew if we wanted the wedding to be successful……Janis was the one to call! We have had a 9 year history with the band…….birthdaycelebrations, our three sons weddings, holiday office party, etc. Janis and her bandmates are fabulous! Everyone danced and had a wonderful time. They are engaging and great musicians. I believe they had as much fun as our guests! Our next celebration will definfitely include the band. It is a sure way to have a very successful celebration! Thank you Janis, you are the best!!! I have been to several events at which the Janis Nowlan Band played so there was no doubt who we wanted to play our wedding. We could not be happier! Several guest commented during and after the wedding about how great the band was. The music was great and literally everyone was dancing. They even learned our first dance song and it turned out perfect. The timing was seamless throughout the night for everything from calling up the best man and maid of honor for speeches to cake cutting and all the little in between moments we didnt think of. Even giving a thank you to my grandparents, the oldest married couple there. I can not say enough good things about this band! Janis Nowland band is phenomenal! They really take the time to get to know your style and what music you like. They also know how to improvise and get the crowd going. We used them for our wedding 7 years ago and I’ve used them as an event planner professionally. My THREE sister in laws have used them as well. Janis has become like family! You can’t go wrong, they know the latest songs, and the tried and true greatest hits!! Janis was wonderful to work with, very professional and covered all the details, and just a nice person. The band was perfect played all the right music had everyone up dancing. Would highly recommend them if you want to have a good time. I couldn’t walk for two days!!! Because I spent my entire wedding on the dance floor. And I would do it again! The Janis Nowlan Band hit it out of the park! The dance floor was full all night – which was exactly what we wanted. And the quality of their performance and sound was second to none. We had multiple friends inquire afterwards for the name of the band – complete hit! On a personal note, Janis was amazing. She really got what we were looking for – a complete range in music genres. Everything from old standards to Motown to some funky 70’s/80’s thrown in for good measure. Not every band is up to the task, but Janis and her gang of maestros carried it off!!!! And I would book them again in a heartbeat. They even learned two new songs just for us! It meant the world! Thank you Janis! If music is an important element of your celebration and you want a dynamic band, look no further! I grew up playing music and played through college. It is one of the most important things to me and there was no way I was going to cut corners on my wedding day. There is nothing more influential on the mood of a party than the music. My husband and I heard the Janis Nowlan band on the Internet and it was a no brainier to book them for our fall wedding. The 11 person band did not disappoint! People were raving about the performance. Not only did the party people love dancing to the great variety of music, the non dancers had a blast just watching. Almost like a mini concert. Janis was so easy to work with, took great notes so was plugged in and on top of what we wanted, was on time, and her band was fun and upbeat. You will be totally blown away with Janis and the quality of the performance of the band. It was everything I always wanted! All the while my mom was helping us plan our wedding, she kept saying that the band would make or break the reception. Janis Nowlan band *made* it. The music was spot-on; the volume was perfect for a relatively small room; and multiple people who told me ahead of time that they “don’t dance at weddings” were up and moving! I feel strongly that if you need to cut something else out of your budget just to make room for a spectacular band, this one would be worth it. Thank you so much. We were so happy with our choice to use Janis Nowlan Band! The band was very important to us, and we listened to everyone in the Philadelphia area – Janis was our top choice by a landslide! The dance floor was packed all night, and another friend also already booked the band for her upcoming wedding!! Thank you Janis for making the night so memorable. I will preface this by saying I am not someone who usually acts on hunches or gut feelings. I usually research the HELL out of things before making a decision, especially when it is a major spend. From the first time I spoke with Janis, I knew she and her band would make our wedding a personalized experience, something unique to me and my husband. We listened to a couple of videos online and read some reviews, but not a lot. And then we went to a showcase. This was the first and last showcase we attended. My now husband and I decided after their first set that the Janis Nowlan Band was the perfect band for our wedding. They are true musicians, not just wedding singers. Every single one of this 11 piece band is magnificent. Janis is both the bandleader and the clerk of the works — she pays attention to every detail to make sure song requests are honored, the wedding party and parents announced, and the party runs smoothly. In dealing with her in the months, weeks, and days leading up to the wedding, I would have thought that ours was the only wedding on their calendar! Our wedding was just a few weeks ago and the notes from guests are still streaming in — most of them comment on how amazing the band was! Everyone from age 8 to 85 literally danced from the get-go until the last note. So fun! The Janis Nowlan Band made our wedding. I spent the entire night on the dance floor with my guests. They played the perfect mix of new songs with the classics. The band actually plays all of the music, unlike the other popular wedding bands that play to backing tracks. They are extremely talented musicians and worth every penny! It doesn’t get any better than Janis Nowlan Band! Just do it. You won’t ever regret it. I promise. Party with the BEST! I understand now why Janis Nowlan Band has been winning awards. JNB played for my niece Crista’s wedding, and I’ve been blessed to be an active part of Crista’s life since her infancy – so this is a VERY IMPORTANT occasion for me. Not to mention, I have 40 years as a professional musician who understands how high the bar is – which makes me a VERY TOUGH critic. I don’t think 3500 characters is enough to write about the level at which Janis Nowlan Band delivers the “nth” degree of incredible, professional, talented, extraordinary, energetic, fun, joyous…I can go on and on….consummate musicians, perfect sets, variety of genre (she’s known for actually hearing AND doing what the bride/groom/family say they want), interaction with the audience without being intrusive or obnoxious… How does JNB do it? It’s ALL there! And it starts with the alchemy of finding phenomenal musicians to fuse their collective gift, or solo, to either melt your soul just listening, or, even better, MELT YOUR SHOES DANCING! The set lists are seamless and perfect; somehow no one at the party ever felt left out of the fun. It’s ALWAYS about the music and the people and she and her band must have a crystal ball to know exactly what will make it the most fun and fabulous for everyone from age 2 to 92! Important for me to say, knowing how exhausting it must be for the band members to maintain the enthusiasm and energy they do for so many hours straight, I was TOTALLY IMPRESSED by how gracious, friendly, engaging the band members were with every person who approached them. Especially when the “gig” was over, so many put their heads down, pack it up and move it out. Not this band! They gave their best until every guest had left! Their sound system was excellent, no distortion (that’s saying a lot with a band that size, especially when they are rocking the party). Great music. Great fun. The dance floor was a magnet all night..and no one wanted the party to end, and we know, that’s all about the band! I want to go back and do it again…every night! What an excellent band. We were so impressed. Each and every member of the band is an exceptional musician in their own right and the singers have amazing voices. They kept the fun and excitement going all night long. A very polished group with a classy delivery. 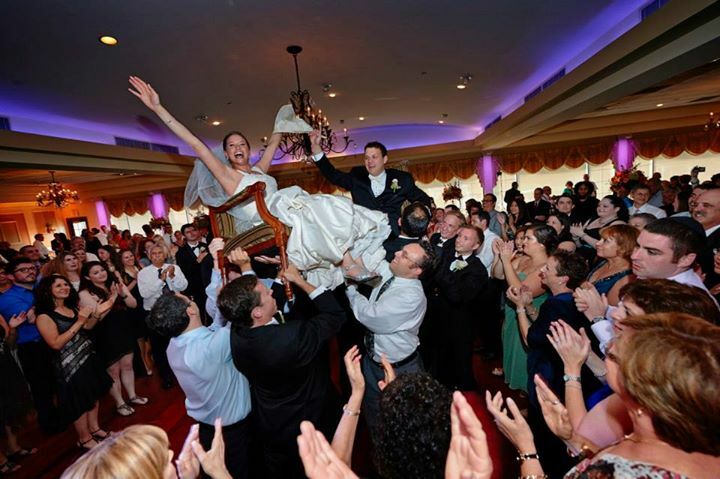 Reviewed on 10/30/2015 Bevlin CWithout a doubt, the Janis Nowlan Band was the best wedding band we have ever seen! They played such a great selection of music and had everyone out on the dance floor all night long. Having The Janis Nowlan Band for our wedding was the best decision that we made for our wedding. They were so amazing! They kept everyone dancing all night long and all our guests kept raving about what an amazing band they were. Janis was extremely professional and responsive and really made sure that the band played what we wanted and what would keep everyone dancing all night long. Our first dance was not a well known song but the band played it and it sounded almost exactly like the original. We can’t thank Janis and the band enough for making our wedding the party that we only dreamed it would be! Janis and her band were great. Our guests raved about them. She gave our daughter and her husband exactly what they asked for and more. We highly recommend them. Janis and the band were so great to work with throughout the entire process. From the showcase to see them for the first time to ending our wedding night, they were fun and professional. We received so many compliments about the band saying how great they were and how fun they made the wedding. Highly recommend using them and hope to see them again at another wedding soon! This band played at my cousin’s wedding, and they were amazing! What really impressed me is that they played popular current music that is presently being played on the radio! Their energy and sound quality were also incredible! Janis Nowlan Band is quite simply the best! From our first contact by phone, through the planning phase, to the last dance, Janis was enthusiastic, creative, fun and incredibly talented. She and her band have an extraordinary range and will keep everybody entertained…most highly recommend! The Janis Nowlan Band was outstanding!!!! I can’t thank them enough for making our wedding the best we could have ever imagined! There wasn’t a minute that we weren’t out on the dance floor! Our 90 year old grandparents were even out dancing! All our guests wanted to book Janis for their next event! I couldn’t be happier with our decision to have them be a part of our day!! Thank you so much Janis and the amazing band!! Janis Nowlan’s Band is so much fun!!! The musicians are very talented professionals but they are engaging artists. They played music that appealed to everyone. I danced for hours!!! The only words I can use to sum up the atmosphere this band created is… Even the non-dancers couldn’t be pulled off the dance floor! Truly a close second to the occasion, but only to my bride. Could not ask for more, from start to finish. This is the most difficult review I have ever had to write. I mean it is just about impossible to put into words just how AWESOME they were. Start to finish, working with Janis is a breeze. We did request a final song for the night that she admitted they have never performed. The song was Closing Time by Semisonic. They NAILED it. I mean everyone was on the dance floor singing along, belting out every last word. The Janis Nowlan Band made our wedding day not just the best day ever, but the most spectacular day ever. Thank you to each and every member of the Janis Nowlan Band. THANK YOU! Dear Janis – What a wonderful wedding – thanks to you and your singers and musicians! Even the reluctant people couldn’t resist and made their way to the dance floor – and you could see on their faces the fun they were having stepping to the beat… I got many MANY compliments about the Janis Nowlan Band during the reception – the young people who have heard a lot of bands were amazed at your spectacular sound. (I think some of them wish they could get married again just to have you!) Ray and I thank you for doing what you do best – getting the party started and keeping it going, and for your friendship and kindness to our family. You made my daughter Crista and Ken’s day special and one that everyone who attended will always remember. As father of the bride, I want things to go smoothly for the new couple & to have all guests enjoy themselves. When the dance floor is continually full, it says people are having a great time. When you can talk during dinner with pleasant music in the background adding the right atmosphere, you know things are going well. — and when people of all ages are constantly coming up to tell you that they have never heard a band play such a variety of music so well, you know the evening is a success!! The Janis Nowlan Band was incredible. The dance floor was filled the entire evening. Everyone enjoyed the music. The young were dancing and an 88 year old grandfather. The music was so good that you never left the dance floor. They never took a break during the main playing hours. I couldn’t have asked for a better band, they were great. The Janis Nowlan Band provided the soundtrack to a father’s most magical occasion- -his daughter’s wedding!! Great sound, great range and unlimited talent-all night long!! Thanks!! The Janis Nowlan Band is beyond amazing! My now husband and I recently celebrated our one year wedding anniversary and to this day we still receive rave comments from family and friends on how awesome our band was. Janis and her band made our celebration truly special, fun, and memorable. Look no further for a wedding band!! Having attended a best friend’s wedding shortly after we got engaged where Janis Nowlan Band was performing, Zach and I knew we just had to have them at ours! It was our first wedding planning decision! Their band is the real deal and runs deep in instruments! Because of this, they are able to play continuously all night long with the size of their band and are wonderful entertainers! A couple of the members played for our reception cocktail hour, then the full band during dinner with lighter sounds then really turned it up for the dancing after dinner! They know how to gauge a party and keep it going all night. This is the reason why I trusted Janis so much, especially since we love the “oldies” which JNB does SO well but they are just as good, if not better, with the through the ages and newer stuff and depending on the crowd, they know exactly what to play and when. I cannot say enough about JNB’s musical talent but what made the planning process and night all the more meaningful was the dedication and passion for excellence that Janis exudes. Her detailed attention and planning for our date made me feel in such good hands and her passion made it all the more fun and exciting!! A friend in London that could not make our wedding in Philadelphia emailed me the week after the wedding saying how amazing she heard the band was and already booked them for her wedding next summer in 2016!! Thank you Janis Nowlan Band for making our wedding celebration all the more sweet and FUN!!! First of all, I inquired with multiple bands in the Philadelphia region, and I ultimately chose the Janis Nowlan Band (Mainly because Janis was so fantastic to deal with and extremely professional). Every time I had an sort of question big or small she would get back to me right away. Moreover, when it came to going over the music for our ceremony, cocktail hour, and reception, Janis was very open and had extremely helpful suggestions if I ever wasn’t sure of what song I wanted where. My father also wanted to plan something special and he dealt directly with Janis. The surprise was absolutely perfect, and my parents were so happy to have such a kind and professional person to handle our wedding reception! As far as our reception, she managed the night flawlessly. It was absolutely perfect. All of the guests are still raving about the band! They were just great! I would highly recommend the Janis Nowlan Band to anyone! I can not say enough good things about Janis Nowlan Band. Janis’ attention to detail is unmatched, which helped our day go off without a hitch. The band learned our first dance song, as well as my sorority song and they were perfect. The jazz trio performed at the cocktail hour and set the perfect ambiance. After speeches, they got the party started immediately. They had people up who NEVER dance, myself included, up and dancing the whole night. My dad even got down and did the curly shuffle. Their energy is incredible and they love to include guests in the singing. I received so many compliments on this band and still have people asking me other places they can go see them. At the end of the night, we chanted for one more song and the band complied. It was perfect and I can not thank them enough for making our day exactly how we wanted it…a big party with non-stop dancing. If you want to have a fabulous time, Janis Nowlan Band is without a doubt your choice! The best band! Our wedding was dancing the entire night! Janis Nowlan Band is a band that goes the extra mile. As the bride, I never once hesitated that the band would be a problem. Janis is so personal and remembers every detail! Hands down I would recommend this band to anyone who is looking for great music, dancing, and an enjoyable time! Amazing band that treats you like family! My husband and I saw the Janis Nowlan Band play at a friends wedding a few weeks after we got engaged. We hadn’t started planning yet, but he said, “I don’t care what else you plan, but we have to have this band!” We very soon after hired the band to play at our reception and a jazz trio to play at cocktail hour. Throughout the entire year of planning, Janis was so easy to work with. She responded to my many emails about how things worked, offered advice, and went above and beyond with accommodating us to make our day perfect. Janis learned three new songs for us to make our day absolutely perfect! She even calmed my fears about doing a choreographed dance with a live band having never heard the song performed by them. Everything went perfectly and our guests (many of them musicians themselves) all were raving about the band! The dance floor never cleared or thinned out. People were dancing all night long! Janis even allowed us to have a special guest performer use her keyboard, which was amazingly generous! We can’t say enough great things about this group. If you want a full dance floor all night, this is the band to pick!!!! I live in Seattle and hadn’t heard or met Janis until our wedding, but she was perfect! My parents INSISTED on having a band (they are old school) and I didn’t really care either way, but I’m glad we did it! We had so fun and people I thought wouldn’t be dancing were! She honored every special request we had, including “Luckiest” for our wedding song, playing the Monday Night Football theme song for all of our intros (best idea EVER, thanks hubby), and allowed us to bring in a CD for our first dance per our request. I’ll leave the rest of my review to the compliments I received after the wedding: 1. “It sounded so real, I thought it a live recording” 2. “Every time I looked up, I was thinking ‘this is too good, it can’t be the band’. I was shocked every time that it was them singing!” 3. One husband about his wife, “Oh my god, my wife is dancing like a 20 year old. I don’t even know who she is anymore! This is great!” In general, we received the most compliments about the food (important to me) and the band. I was on the dance floor the entire night! I barely had a voice for my honeymoon! Everyone still talks about my wedding and highlights the amazing Janis Nowlan Band. They play fun music, have a way of engaging everyone, and got everyone up to dance. Janis was very easy to work with. She spent hours with me on several phone conversations to plan and make sure everything would go perfectly. On my wedding day, I had no anxiety and knew everything would go smoothly. You must have this band!!!! Your guests will rave about this band! There are some reviews that give 5 stars to bands for showing up on time and playing recognizable music. This review is not one of those. Janis Nowlan and her band are simply superb. She had the entire party dancing from start to finish with a great mix of old and new songs. With barely any recommendations, Janis ran the whole night by herself and even adjusted to the songs that got most people dancing. She is a wonderful person to work with and even worked with the best men to sing an introduction to the first dance – and idea that was created less than a week before the wedding. If you hire Janis, you don’t just get a great band, you get the assurance that your friends and family will remark on how great your band was for years to come. P.S. We hire Janis for three Bar Mitzvahs 10 years ago and hired her again because she was so fantastic. Have you ever been to a wedding where, at the end of the night, when the lights are turned up, the guests scream the band into an encore??? This is that band, and it happened at our wedding. They are worth every penny, and we consider ourselves SO lucky that we were able to book them. Janis and band, thank you so very much for everything. You were amazing. The Janis Nowlan band played at my wedding in October 2014. This party band is unbelievable. They had a great mix of newer and classic songs that set the tone for the entire wedding. They had everyone – young and old – on the dance floor the entire night. The compliments were overwhelming from our guests – everyone couldn’t rave enough about their energy and incredible sound. Aside from talent, the bandleader, Janis is amazing. She is helpful, patient and goes above and beyond in terms of servicing her clients. She answered all of my (many!) questions and had really great recommendations to make our wedding special and memorable. Her and the band are true professionals – highly, highly recommend! Thank you for such a great time at my daughter, Coleen’s wedding. The music was great. Everyone says that there is nothing like live music but the Janis Nowlan Band tops them all in music and in personality. I’m so glad Coleen & Mike were able to have you. I know with all the wedding planning and making all these decisions for the first time , the one thing Coleen did not have to stress about was the music. She knew she was in good hands working with you. You made the night a huge success. Everyone has been raving about the band. I’m sure you had to hear the chants of “One more song” “Two more songs”, etc. – no one wanted the music & dancing to end.Thanks again for being a part of this special night. I’m sure we will be reminiscing about it for a long time and The Janis Nowlan Band will be a big part of those memories. Janis, What can we say-you and your band were incredible for our wedding. People are still raving about your band!!!! We had a ball and so did everyone!! The sound and volume were perfect in the Atrium! We can’t thank you enough for your amazing talents! We had people who go to many events in Philadelphia for healthcare and political figures say they have seen many bands and yours was the best ever!! Adam and I are so happy we booked you! We were wondering if you have a set list that you keep from the night? We want to make a play list on our ipods to always remember the night! Let me know. Thanks again!!!!!! Dear Janis, Thank you once again for your band’s SUPERB performance at my son’s Bar Mitzvah party. The music was excellent and it is a pleasure working with you. You are a true perfectionist! I grew up on Long Island and went to many affairs with “New York” big bands, but your band is definitely the best band that I have ever heard. So many of our guests commented on what a great time they had because your band is so fantastic. You are worth every penny! My family and I look forward to celebrating with you in the future. Please use me as a reference and post this letter on your website. Thanks again.